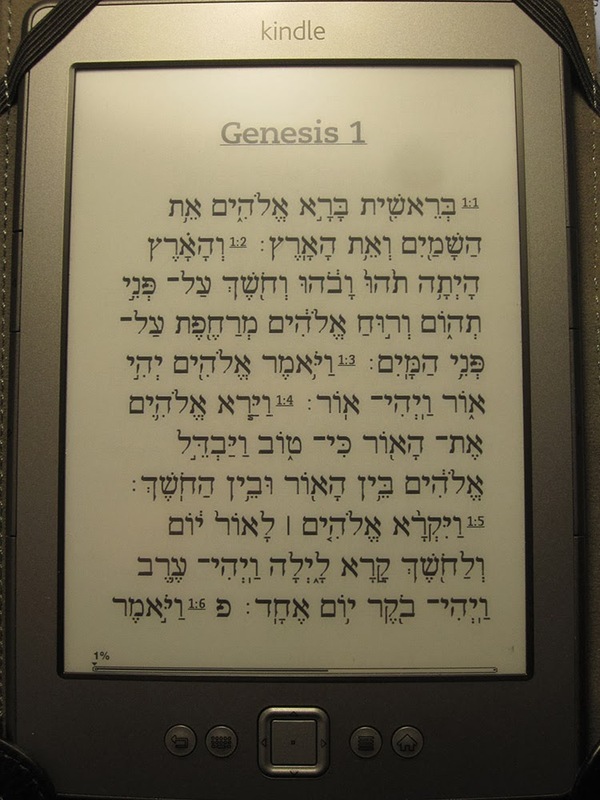 A friend just wrote to let me know that he has just released the first Hebrew Bible designed for the Kindle. That means the vowels and cantillation marks all line up and look great! The Bible is also linked to an English translation so you can easily look up those challenging verses. Easy click-through navigation to other books and chapters. Ability to add primary Hebrew-specific font to Kindle for use with this book. There are more details and screenshots at The Bible Student. You can purchase it here.